Following the IPPNW (International Physicians for the Prevention of Nuclear War) World Congress in Hiroshima on August 24-26, the related symposium in Tokyo, and their visit to Fukushima to meet with local medical professionals on August 28, international medical experts from IPPNW will hold a press conference on the medical and health issues related to Fukushima on Wednesday August 29 from 10am, at the Diet Members Building. IPPNW is an international organisation of doctors and medical professionals, which was awarded the Nobel Peace Prize in 1985. 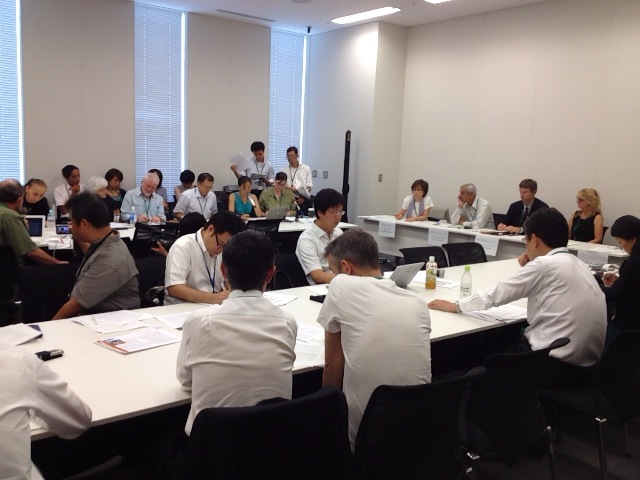 ● a visit to Fukushima Prefecture on August 28 (Tues) to meet with local medical professionals. ※ Please note there has been a change in time and venue since the last release.